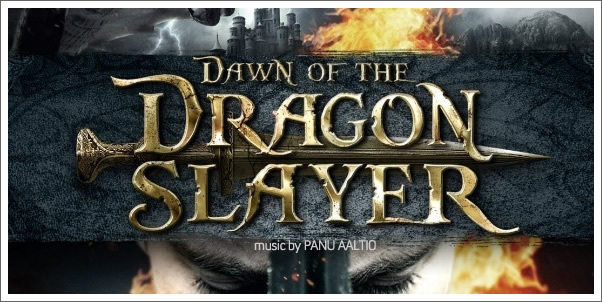 A low-budget fantasy film, DAWN OF THE DRAGONSLAYER flew beneath the radar in 2011, only earning a theatrical release in Germany and going straight to DVD elsewhere. In short, prime fodder for MovieScore Media, who specialize in releasing little-known scores by little-known composers for little-known films. The little-known composer in this case is PANU AALTIO (surely one of the first names in the phone book), for whom MSM previously released THE HOME OF DARK BUTTERFLIES, but his work here is considerably more substantial in volume than that piano-and-strings affair. AALTIO has really pulled out all the stops here and created a full-blooded orchestral adventure score, one of the finest hidden gems to emerge from the MSM vaults yet.